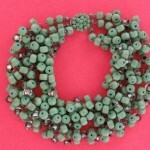 SKU: NK2028. 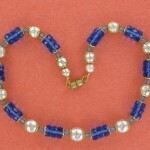 Category: European Jewelry, France, Necklaces. 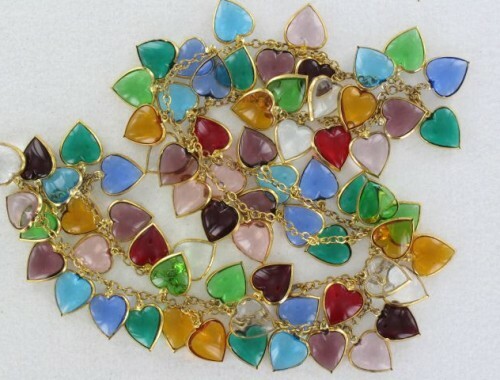 Exquisite Colorful Poured Glass Heart Charms Vintage Necklace. 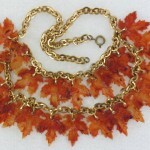 This gorgeous vintage necklace is 32″ long. 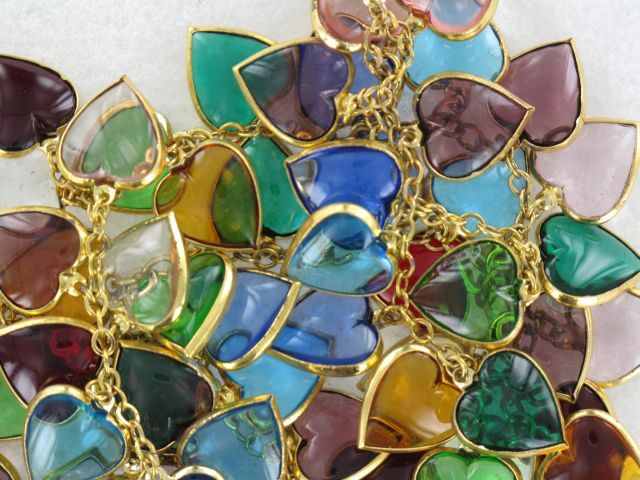 The glass hearts are set in gold tone and the colors include red, dark and light green, blue, amber, clear, purple, pink, aqua. 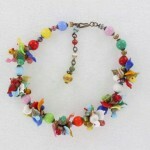 Gorgeous unusual piece! Excellent condition.